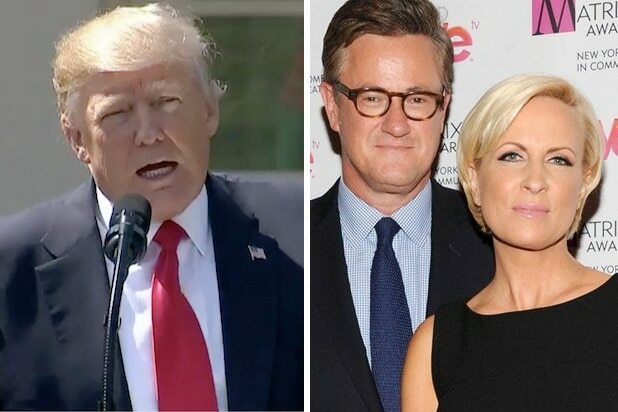 On Friday’s “Morning Joe,” host Joe Scarborough warned President Trump that he would be impeached if he lies to the grand jury regarding Robert Mueller’s investigation into Russian meddling in the election. “If you lie in front of a grand jury, at least where I’m from, you go to jail… this isn’t just some little procedural trick. The stakes have been raised. You lie in front of a grand jury, you are a felon,” Scarborough said. “If you’re a president, you’re going to get impeached. On Thursday, Mueller, the special counsel overseeing the Russia investigation, impaneled a grand jury in Washington, The Wall Street Journal first reported. Trump has repeatedly called the probe a “witch hunt” and denied any wrongdoing. However, the move signals the investigation is ramping up and Scarborough said it would be tough for Trump to fire Mueller at this point. “This is yet a further sign that there is a long-term, large-scale series of prosecutions being contemplated and being pursued by the special counsel,” Stephen I. Vladeck, a law professor at the University of Texas, told the WSJ. Grand juries are a powerful way for prosecutors to subpoena documents and question witnesses. The move may suggest Mueller believes he will need to subpoena records and take testimony. Federal prosecutors have been using at least one other grand jury in Alexandria, Va. in their criminal investigation of Michael Flynn. Mueller has taken over that investigation. Mueller, a former FBI Director, has been charged with investigating Russian attempts at influencing the 2016 presidential election as well as possible collision between the Trump campaign and the Kremlin. He was appointed after Trump fired former FBI chief James Comey.